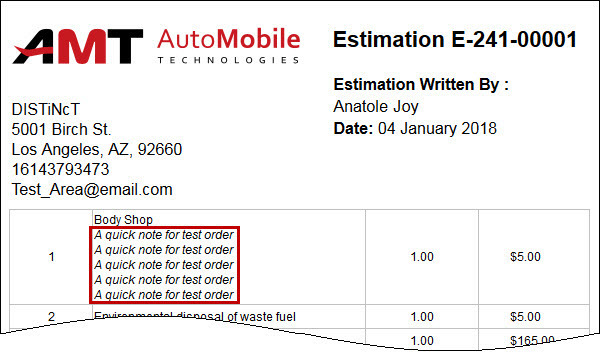 Now you can add stock number to repair orders in the Back Office application and edit stock number entered by technicians in mobile app on device. 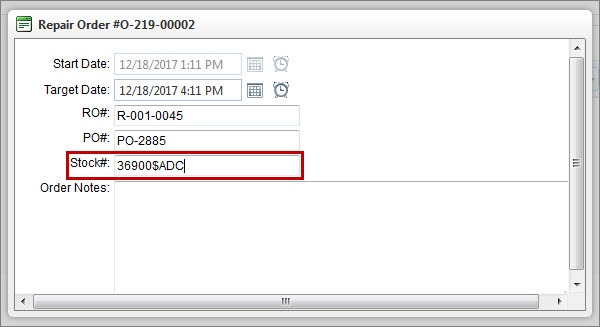 On the Repair Order detail view, click Edit on the toolbar, and then in the Repair Order dialog box, enter stock number in the Stock# box. ...for the Show Approved Total Amount and the Show Not Approved Total printout options. 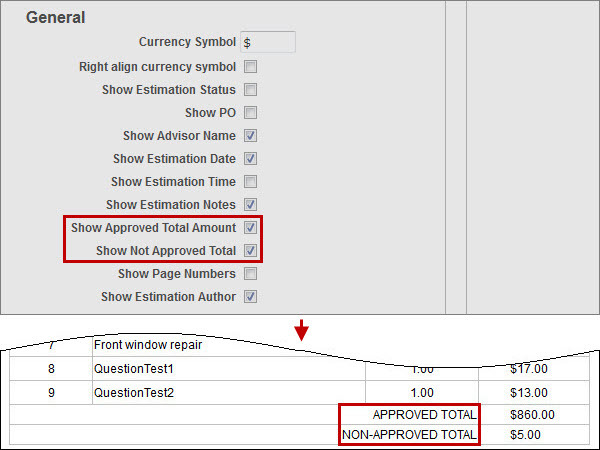 ...can be shown gathered into a single line, and trimmed, if the notes length exceeds the column width. Note Default font size of line items can be changed, so if you want to decrease the font size from 16 to 12, or any other size, please contact our customer support department. 3. 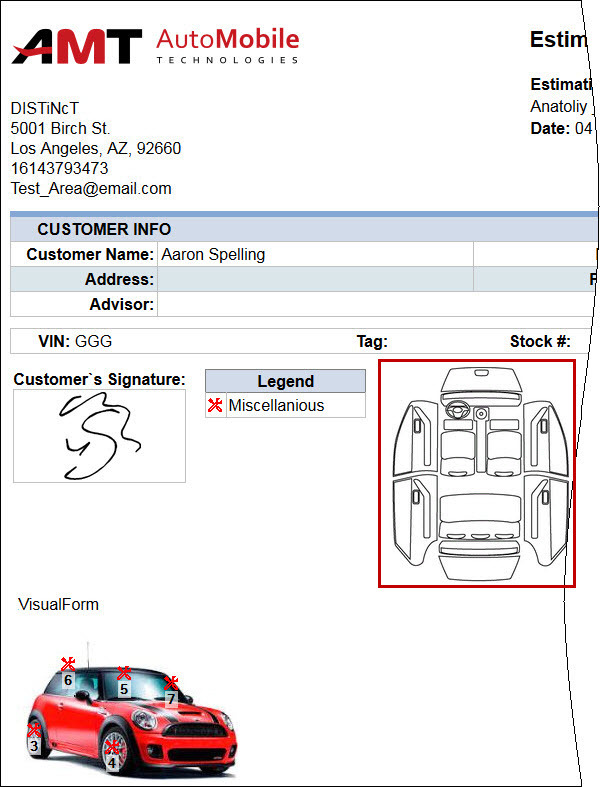 We have optimized the space of the Images section that shows customer’s signature, legend, exterior and interior splats, so now if you hide at least two of these elements, the free space will be taken by the first available visual form, if any. 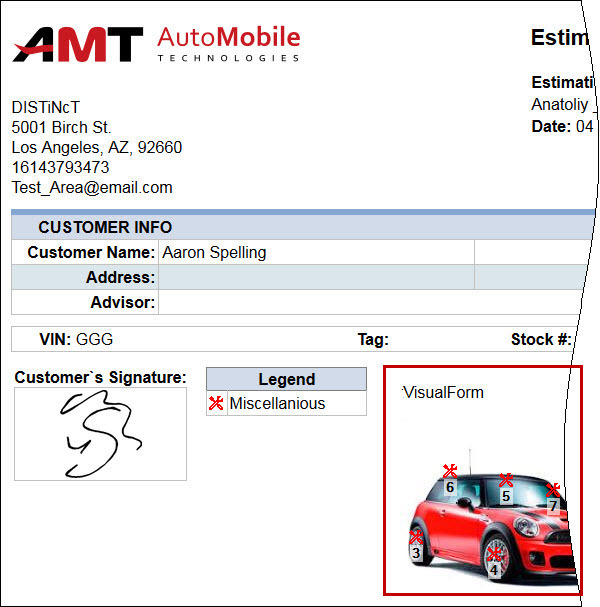 ...will be automatically filled in by the visual form.